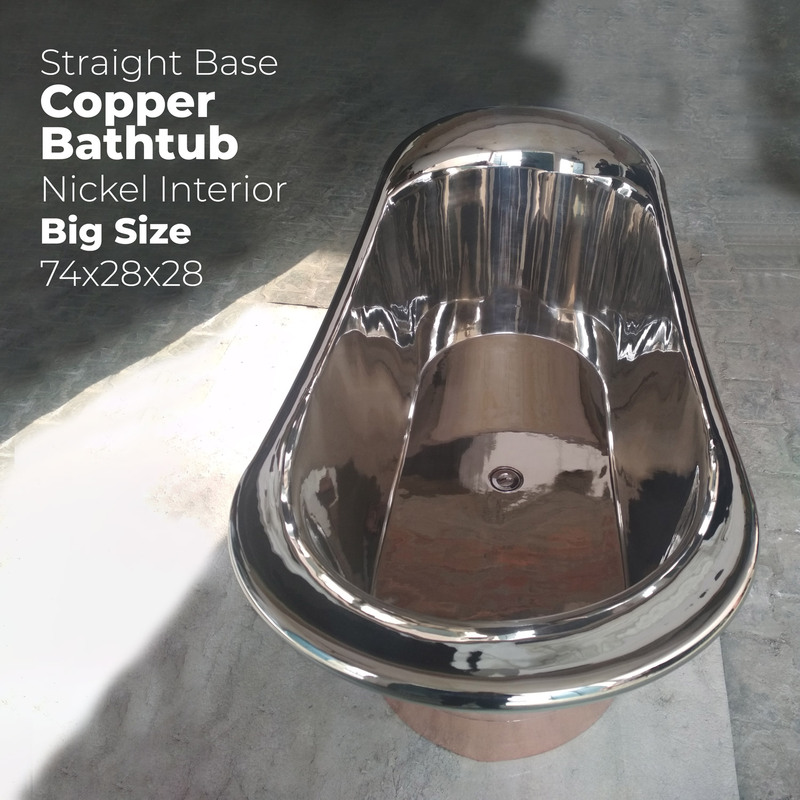 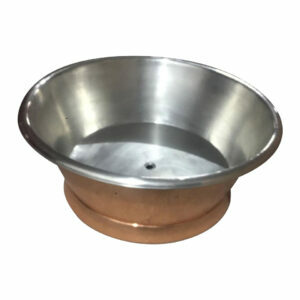 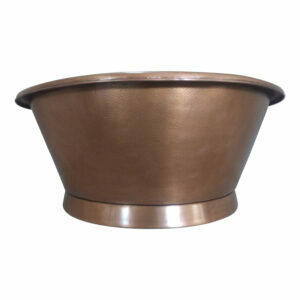 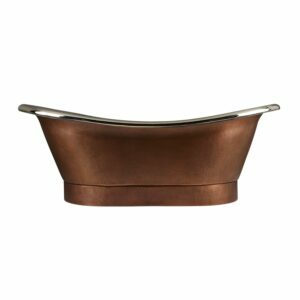 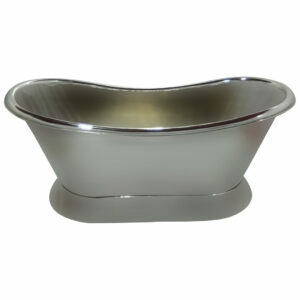 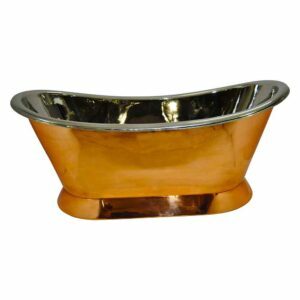 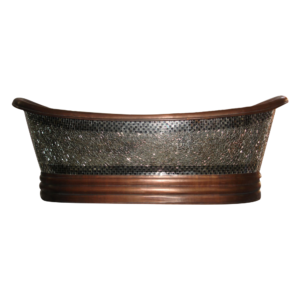 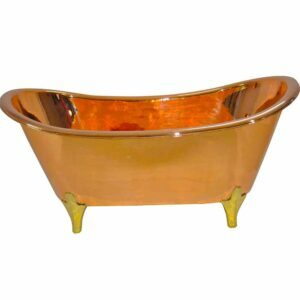 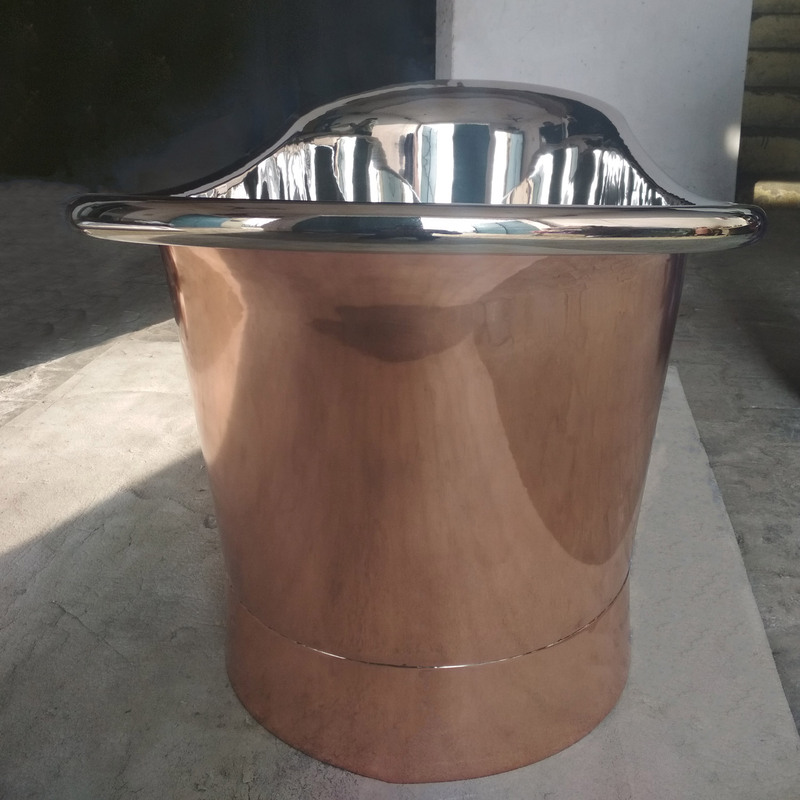 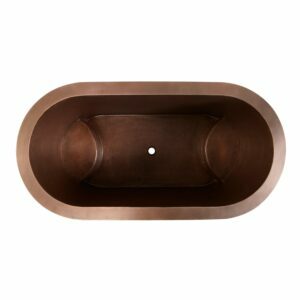 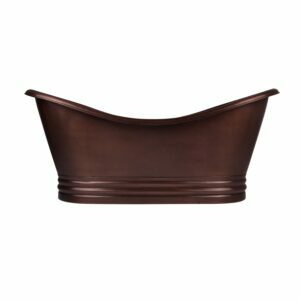 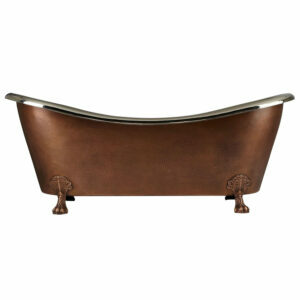 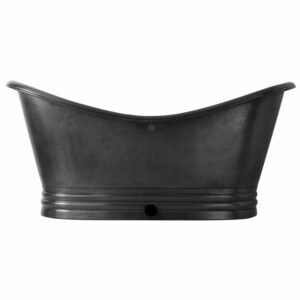 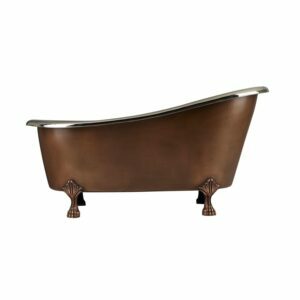 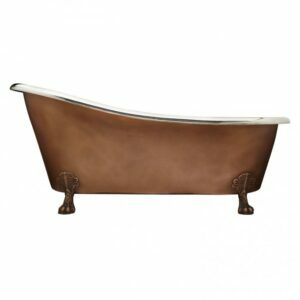 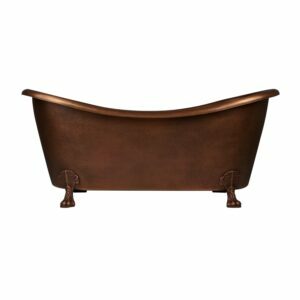 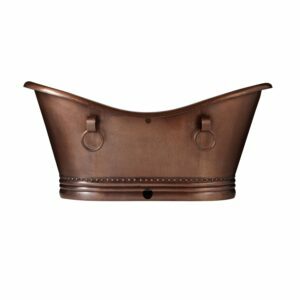 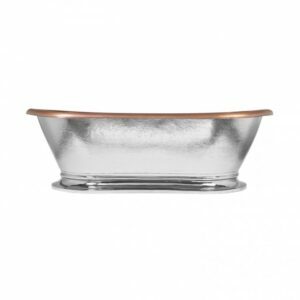 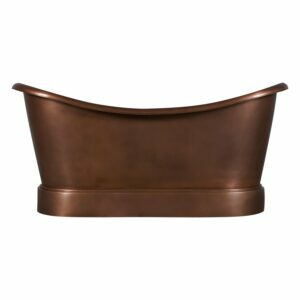 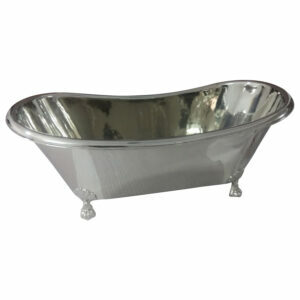 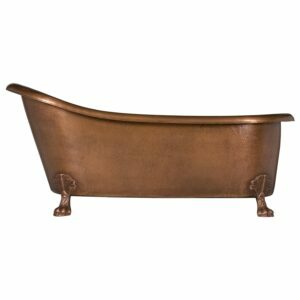 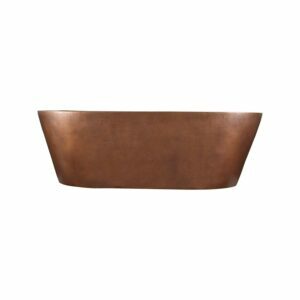 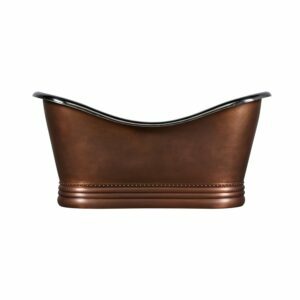 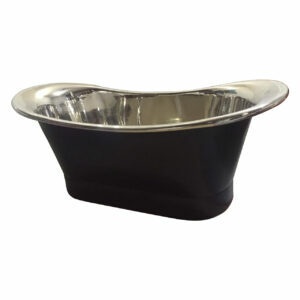 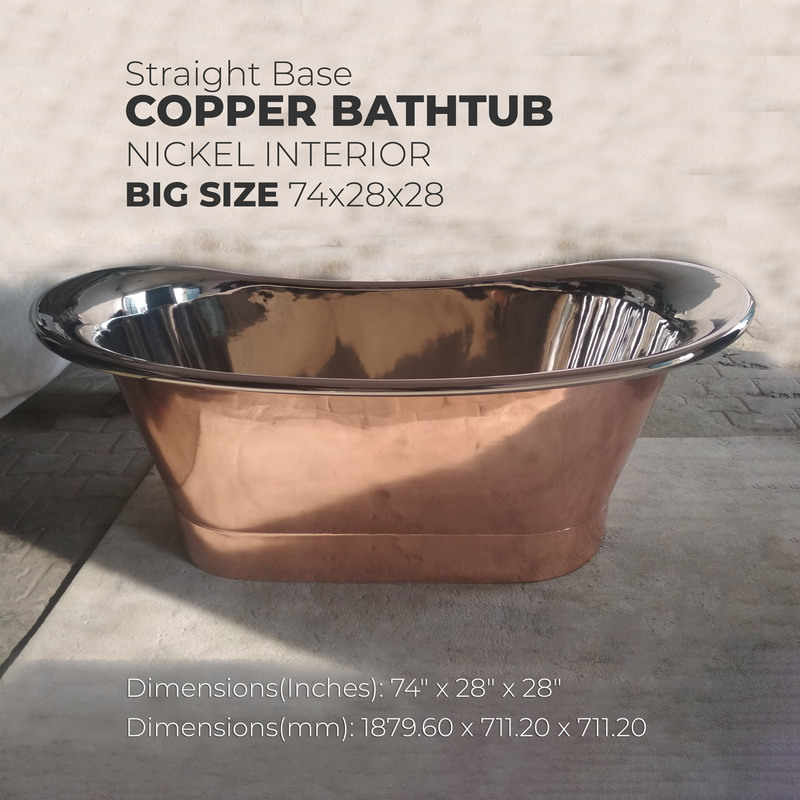 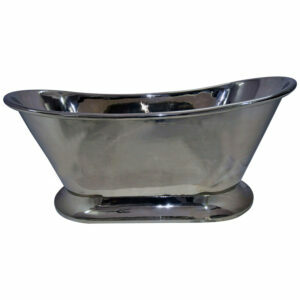 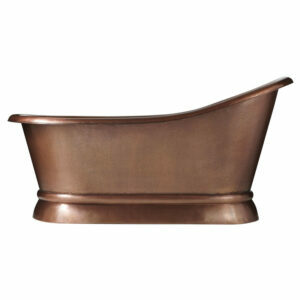 Straight Base Copper Bathtub Nickel Inside Big Size is a 74 inch copper bathtub with a width and height of 28 inch each. 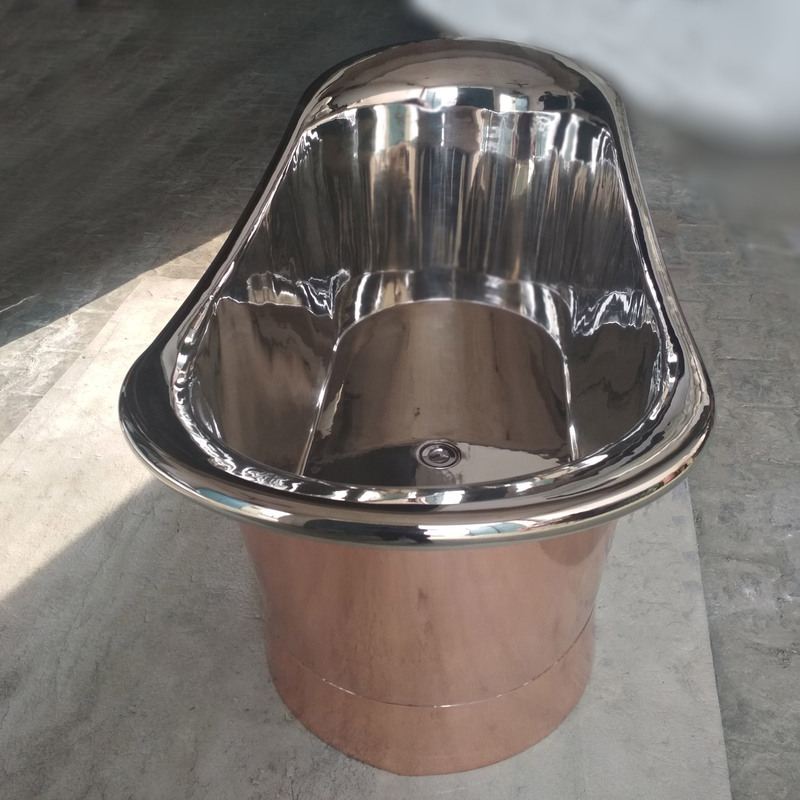 The is a large bathtub which can accommodate two people comfortably inside.The bathtub has lacquered exterior copper wall to protect its lustrous shine. 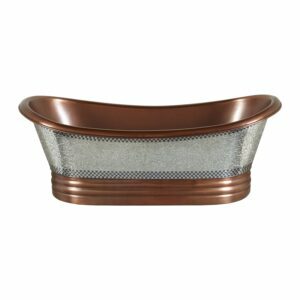 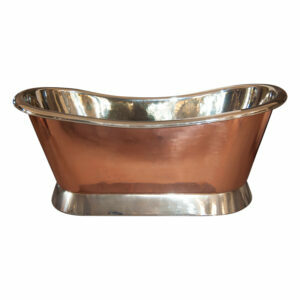 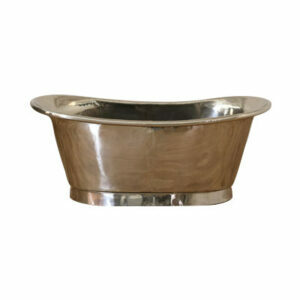 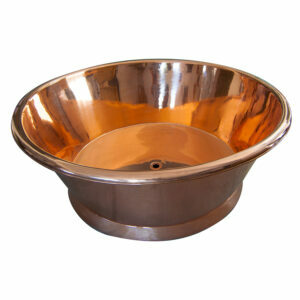 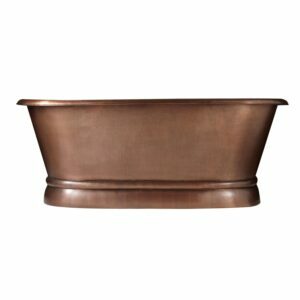 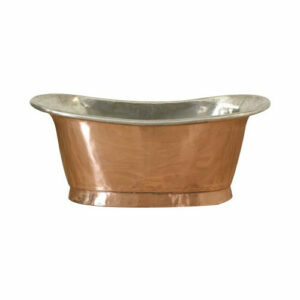 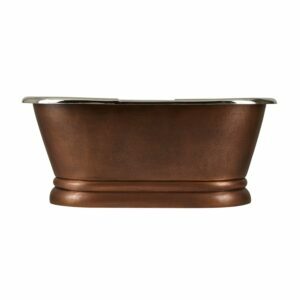 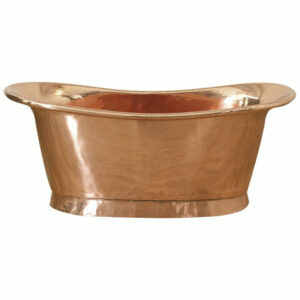 This copper bath has undergone lacquering and hand-waxing for ease of maintenance. 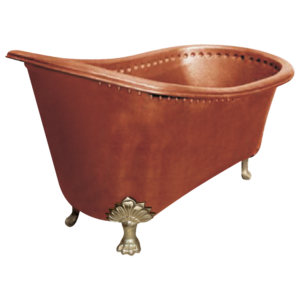 This bathing luxury handcrafted by consummate Indian artisans, is a must have fixture for your bathroom. 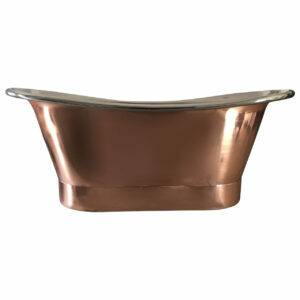 This bathing tub comes with a popup waste that allows for easy drainage of the water. 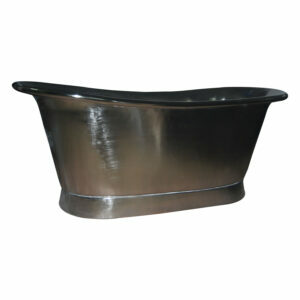 The tub fillers must be floor or wall mounted. 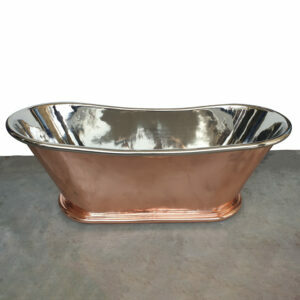 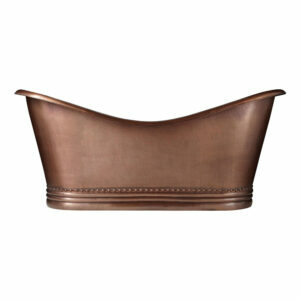 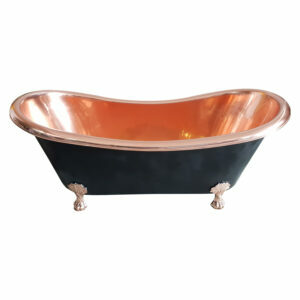 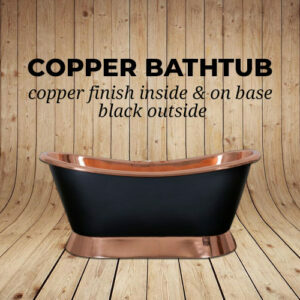 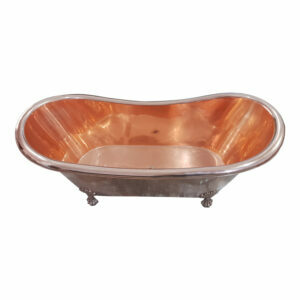 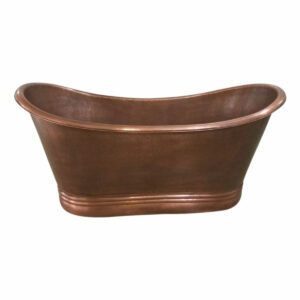 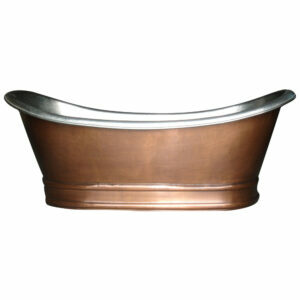 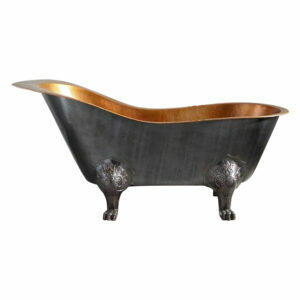 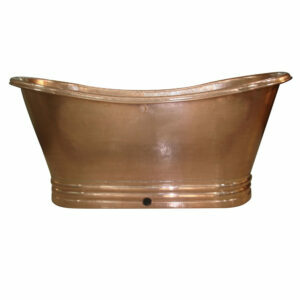 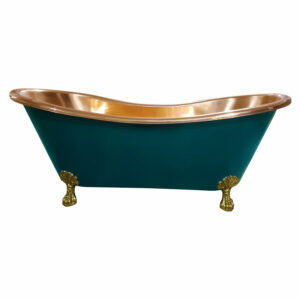 Copper bathtubs are proven to have healing benefits for the human body. 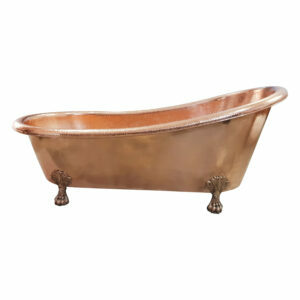 Soaking yourself regularly in a copper bathtub rejuvenate and enrich your cells and tissues. 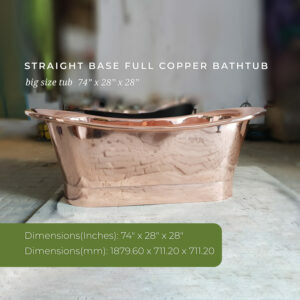 For the people living in European and Western countries where the temperatures are freezing cold, copper bathtubs have been of the historic importance because of intrinsic property of the copper to adapt and maintain the temperature of substance that comes in its contact, copper bathtub can keep the hot water hot and the cold water cold for longer duration than their counterpart ceramic tubs. 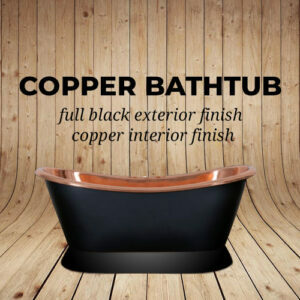 The copper bathtubs also helps in saving your energy bills as you only need to pour the hot water once in the tub and you can enjoy a longer soak in tub as tub will maintain the warmth of the water. 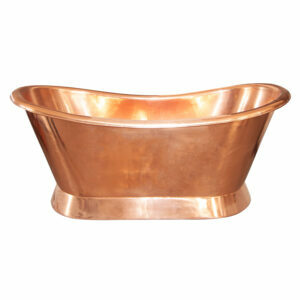 Copper is a natural antibacterial agent. 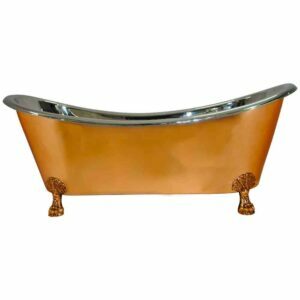 It is common to use brass door handles in public buildings (brass being a copper alloy) because they help prevent disease transmission. 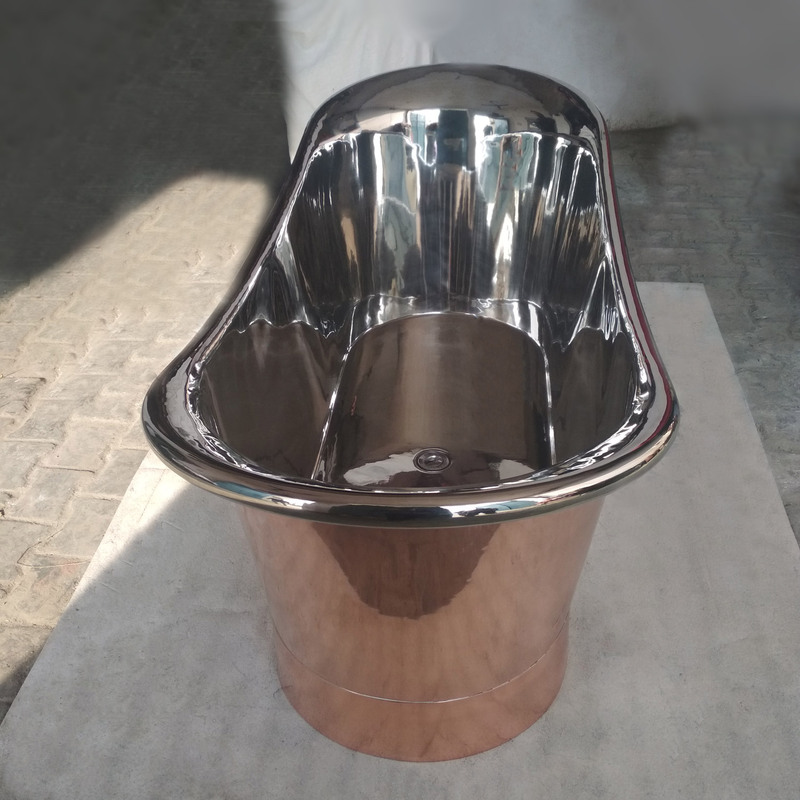 Since you are not the only one who will be using the bathtub in your bathroom hence, it is important to make sure that the material of your tub is antibacterial to prevent the disease transmission that may happen by coming in contact with different human bodies. 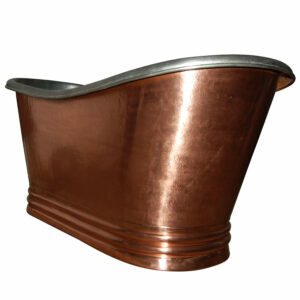 Copper is a 100 percent recyclable metal. 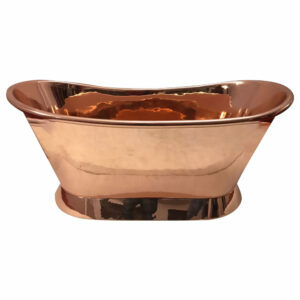 Nearly 80 percent of the copper that has been mined to date is still in use.